The big market movers of the past year, a variety of sources and markets have come from a variety of sources, places and markets, but they’ve affected almost all markets everywhere. As we begin reflecting on the outlook for the fourth quarter, it’s worth reviewing the key elements of inter-market analysis and how to profit from them. This is the first of a series of articles on the basics of inter-market analysis; what it is, and how to use it to improve your performance in your primary market of interest, be it stocks, forex commodities, etc. Knowing how and when different assets, asset classes, and markets correlate to the ones in which you trade. Do they tend to move in the same direction (positive correlation) or the opposite direction (negative correlation)? Do they tend to be leading, lagging, or coincident indicators for your market? Once we know if and how and when two separate markets correlate, we can use price movements in one market to help predict movements in our primary market of interest. These relationships can change in the short or long term. Normal Correlations: When different markets are moving in the same or opposite direction as they normally do, you can use movements in one market to confirm or even predict movements in another. Divergences From Normal Correlations: However when markets that normally trend in the same direction start to diverge, those trend divergences are often leading or coincident indicators of changing market conditions. Over time you’ll see how some markets tend to react before others, and so provide advanced notice of changes from which you can profit. Now let’s look at why and how it all works, and how it can help you. Inter-market analysis works because the movements of most globally traded asset markets are indirectly or directly related. Indirectly: Most markets are indirectly related because they are influenced by the same set of underlying market driving events or trends. Seemingly unrelated global markets are in fact profoundly influenced by many of the same factors, albeit in different ways. In other words a given news item or economic trend can cause certain assets called risk assets (and their markets) to trend higher, and others, called safety or safe haven assets, to trend lower, or vice versa. More on that below in our explanation of risk and safety assets. Directly: Some markets directly influence other markets. For example a sudden rise in the price of oil or credit (aka interest rates) is an added expense for business and thus hurts stocks and other assets that rise with optimism and fall with pessimism (aka risk assets). Changes in credit markets that affect the cost or availability of credit directly affect most major asset markets, as we’ve seen from Subprime Lending Crisis, the resulting Great Financial Crisis, the resulting European Debt and Banking Crisis, and the from the resulting attempts to deal with them such as the Fed’s QE program and its attempts to curtail or taper it. Both Directly And Indirectly: Some inter-market relationships are driven by a combination of both indirect and direct links to each other. Virtually all kinds of assets can be classified as risk or safety (aka: safe haven) assets. Here are somewhat simplified but useful working definitions. Most markets are heavily influenced by the same big macro-market movers, economic or political events or trends that shape the global economy. However they don’t respond in the same way. Any experienced market observer knows that a given event or economic trend generally sends some assets higher and others lower, depending greatly on whether they’re risk or safety (aka safe haven) assets. If you’re not thoroughly familiar with this topic do not move on until the below is clear. It is critical to understanding how to do your own inter-market analysis and will save you a lot of time and money. The classic risk assets include stocks, especially cyclical sector stocks that appreciate the most in times of prosperity when consumers want to spend. Construction, discretionary consumer goods, and travel sectors are classic examples of these. So are industrial commodities like oil, copper or iron that are in higher demand in times of expansion. As we discuss in depth here, in most time frames, most major global stock indexes like the S&P 500, FTSE 100, DAX, CAC, and Nikkei trend in a similar manner. Higher yielding currencies tend to rise in times of expansion relative to currencies from nations with lower benchmark interest rates due to demand from carry trade, a more technical forex topic. 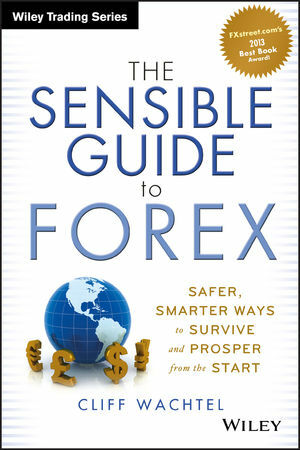 See here for details on that, and on risk vs. safety currencies in general, for a deeper understanding of these and how to use forex trends to improve your performance as a trader or even an income investor. Low yielding currencies that tend to be bought as carry traders close out their carry trades in times of fear and seek shelter in these currencies. Sovereign bonds with top credit ratings have historically been considered the classic safe-haven asset because they generally (at least pre-taper era) move in the opposite direction as stocks and other risk assets. Indeed, risk of loss of principal with bonds is generally lower than with stocks, as long you hold them until they mature. However if interest rates are expected to enter a long term uptrend, bonds would be likely to see a long term drop in price. Bond investor would then need to choose between selling them at a loss, and holding them until maturity for years while missing the chance for higher income for the same level of risk. Similarly the US dollar has for years been ranked among the leading safe haven currencies, even though it’s been in a decade long decline against most other major currencies. See here for a full discussion of how the USD has fared over the course of decades against many ‘risk’ assets. What Determines The Strength Of These Indirect Correlations? Some risk assets will rise more on good news than other risk assets, and fall harder on bad news. Some safe haven assets will fall harder on good news than others, and rise higher on bad news. The largest global stock indexes tend to have very high positive correlations to each other because they’re all risk assets. In other words, they tend to move in the same direction, not necessarily on a daily basis, but usually over a given number of days (barring any extremely good or bad country or region-specific developments). That’s because the same news or longer term economic developments affect all of them more than local developments in their own native economies. This is especially true for smaller and more export-oriented economies that are highly dependent on specific large trading partners. Certain currencies tend to trend with risk assets and are called risk currencies. Others trend with safe haven assets and are called safety currencies. Here’s a how they rank as risk or safe haven currencies. For example, Japanese Yen (JPY) and Australian Dollar AUD) in recent years have tended to have very negative correlations to each other. That’s because the JPY is a strong safe haven currency (note how it’s all the way on the right). That is, it tends to fall hard in times of optimism and rise strongly when markets are fearful. The AUD is the top ranking risk currency, and thus behaves in the opposite manner, rising on good news and falling on bad news. Thus the two tend to move in opposite directions when there is a clear bias to risk or safety. The same could be said when comparing other currencies that are on opposite ends of the currency risk spectrum. For the full story on currency rankings, their basis, and how they can change, see here. Note that the above relationships are often obscured or overridden by other market forces, especially on daily or shorter term time frames. For example, it’s common to see risk assets rising as a group yet see one particular risk asset falling due to some long or short term phenomenon that mostly affects just this asset. For example, if global stock indexes and other risk assets are rallying, one would expect the AUD to be soaring in tandem. However if there’s bad news for the Australian economy, the AUD could easily be lower. Continue to Part B for more on the fundamentals of inter-market analysis and how to profit from it.